Feeling menopausal and need some help? Did you know you can grow your own HRT? Sprouted foods are one of the world’s richest sources of plant hormones and not only the densest form of nutrients on the planet but also easy to digest. As we evolved on plant hormones, we have receptors in our cells looking for them and it supports our systems to get them back into our diets. "Grow Your Own HRT" shows the scientific proof of why some women menopause without problem and how you can become one of them. You find detailed instructions on how to grow hormone-rich plants on your windowsill in just two minutes a day. In addition, the author details how to self-diagnose, how much to take and which sprouts to grow for which symptoms. Say no to expensive supplements, changing your whole diet and synthetic hormones. 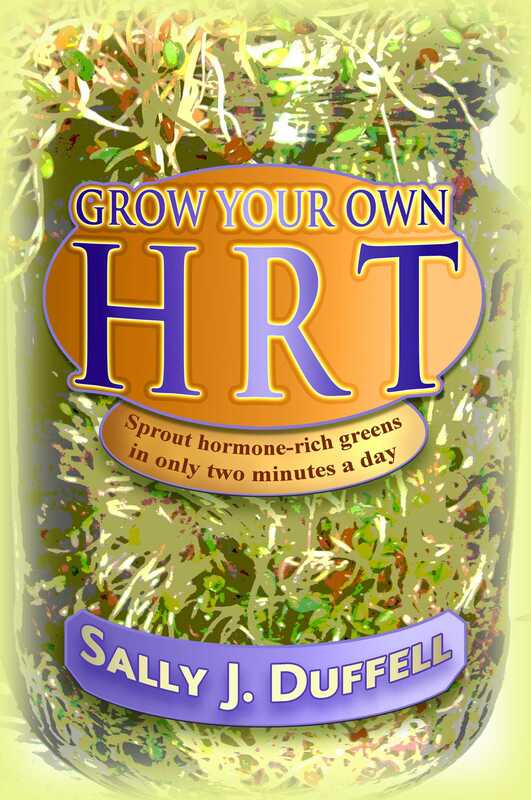 Grow your own HRT the way nature intended--it's quick, cheap and natural--you have nothing to lose.